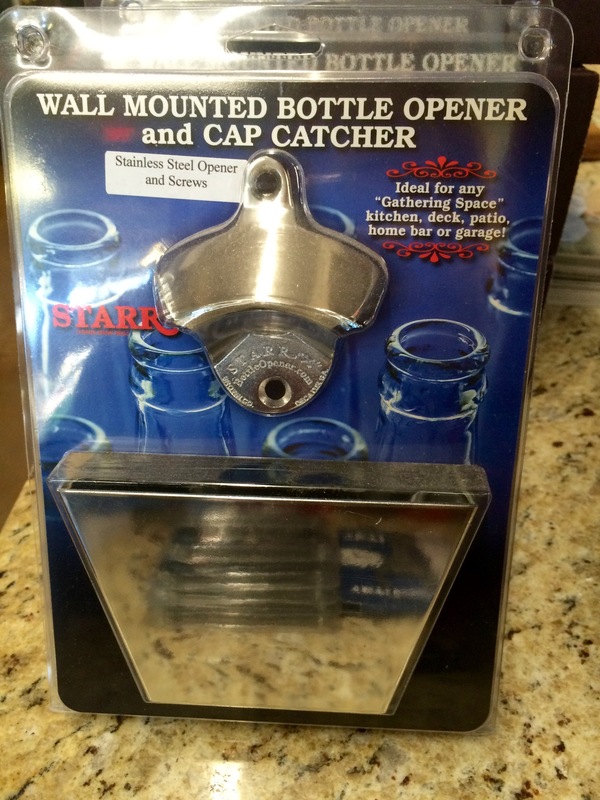 Stainless steel Starr Wall Mounted Bottle Opener and Cap Catcher. This product contains screws for mounting. 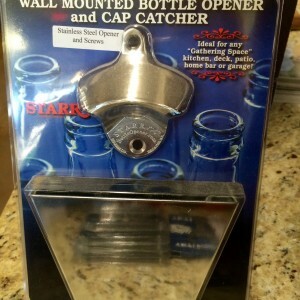 This product is ideal for any gathering space, kitchen, deck, patio, home bar, grill table or garage!